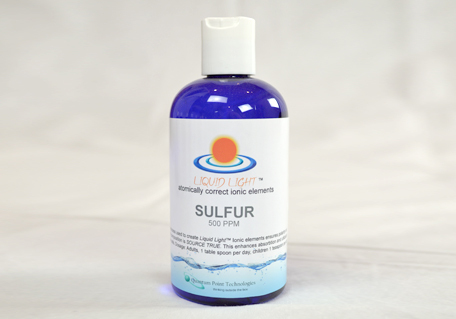 - Moisture and heat may destroy or change the action of sulfur in the body. - Sulfur is the key substance that makes garlic the "king of herbs"
- Those with sulfur allergies are supposed to stay away from sulfur supplements. I’m allergic to sulfites and I’m perfectly fine with Phytopharmica’s Glucosamine Sulfate (a time-released formula). I don’t ever seem to need MSM though and a little garlic goes a long way, so maybe if I overdosed on all the things containing sulfur, I would not do well. On the other hand–skin cases respond quite well to sulfur, and I’ve always had that weakness. Who knows?